Deborah Szekeley is the powerhouse behind the modern spa movement. 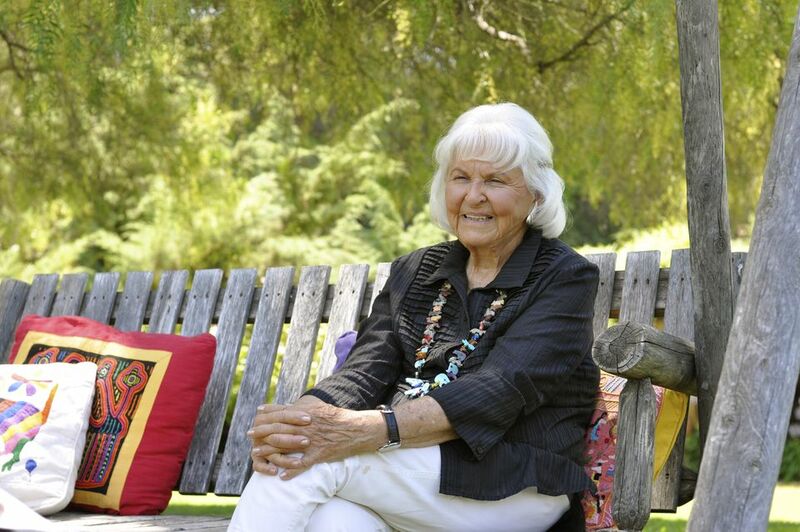 She co-founded Rancho La Puerta and started Golden Door, both iconic spas that defined our expectations of spas. In 1940 she and her husband, philosopher Edmund Szekely (pronounced SAY-Kay) established Rancho La Puerta in Tecate, Baja California, Mexico, the original destination spa. In 1958, stepping out on her own, Szekely opened the Golden Door, a smaller luxury property in Escondido, California that catered to an exclusive Hollywood crowd and is still considered one of the world's finest destination spas. In addition, Szekely is known for her work in government, community service, and philanthropy. In 2014 Szekely founded a non-profit organization called Wellness Warrior, dedicated to securing happier, healthier lives for Americans through the prevention of illness and assuring that our nation’s food, water, and farmlands are free of chemicals and GMOs. Wellness Warrior aims to rally and unite the entire wellness community, from everyday citizens to industry leaders, to influence lawmakers through public pressure, lobbying, campaign donations, and other efforts. Deborah was born in Brooklyn, New York, on May 3, 1922, to unconventional parents. The family not just vegetarian, but "fruitarian," meaning they ate nothing but raw fruits, vegetables, and nuts. Her mother was vice-president of the The New York Vegetarian Society. "Almost every weekend we hiked to a different health camp," she wrote in Secrets of the Golden Door. "Midweek I fell asleep listening to health lectures all over Manhattan." When the Great Depression hit in 1929, fresh fruits and vegetables became prohibitively expensive or unavailable. Rather than abandon their principles, Szekely's parents bought steamship tickets to Tahiti. There they met Professor Edmond Bordeaux Szekely, a Hungarian scholar who studied early civilizations, "searching for ways to apply natural living to an increasingly unnatural culture." He became a major influence on the family, and when they returned to the United States they spent many summers in Professor Szekely's health camps in California and Mexico. She became Szekeley's secretary at age 16 ("the Professor was totally helpless about day-to-day practical details"), married him at age 17, and moved with him to Tecate to start Rancho La Puerta in 1940s, at age 18. The couple lived in a small adobe-house. Guests pitched their tents, swam in the river, and listened to the Professor's lectures. "We read and discussed and tried every health discipline and diet theory...bean sprouts and acidophilus milk, total fasting and interval fasting, the grape cure, the mucus-free diet, morning walks and mud baths." In the early days, the Ranch had no electricity or running water. Reading at night was by kerosene lantern. Deborah tended the gardens, the goats, and the guests. By 1958, she and Edmond had long been on different paths. He lectured and wrote about the world’s religions. She was the powerhouse behind Rancho La Puerta’s growth, excellence, and innovation. As their marriage neared its end, Deborah began the Golden Door, the first elegant fitness resort, on her own. Among her innovations were hiring exercise instructors with backgrounds in modern dance. She pioneered "the Fitness Day," where on alternates an active class with a passive class. And she introduced classes like yoga that guests were trying for the first time. Deborah sold Golden Door in 1998 and in 2011 handed over control of Rancho La Puerta to her daughter, Sarah Livia Brightwood. Szekely still regularly visits both spas to conduct lectures. Deborah was the first woman in California and the fifth woman in the Nation to receive the Small Business Administration Award (SBA). She was on the President’s Council for Physical Fitness for Presidents Nixon, Ford, and Reagan over a 25-year span and gave the keynote address on fitness in the Nixon White House. Szekely has been deeply involved in community service. She worked with Save the Children Federation as a National Sponsor for Mexico. She has served on the Boards of Claremont Graduate University, Ford Theatre, Menninger Foundation and National Council De la Raza. In San Diego, she was the founding member or board member of numerous organizations. She currently serves on the Board of the Congressional Management Foundation and Center for Science in the Public Interest both in Washington, DC. Szekely is considered a San Diego Icon and has received almost every honor the community of San Diego bestows. In 2002 San Diego Rotary named Szekely “Mrs. San Diego” only the fourth woman in their history so honored. Today Szekely continues her heavy schedule as Creative Director of Rancho La Puerta and the Golden Door as well as being a motivational speaker.